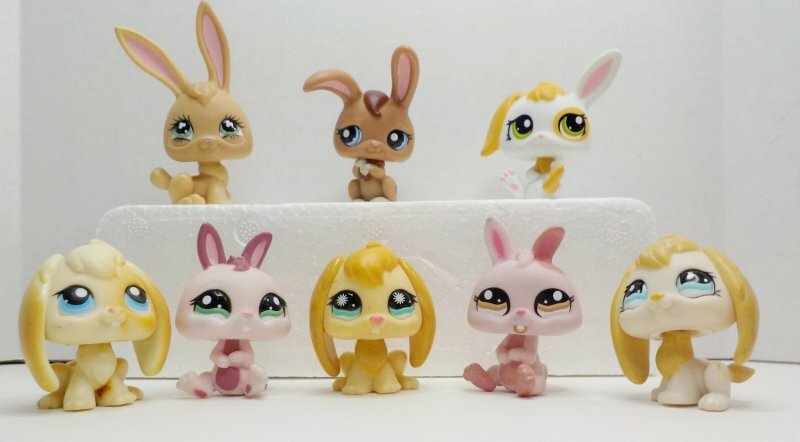 This is a loose lot of bunny rabbits from Littlest Pet Shop. #610/717 Rabbit is long eared cream/tan sitting bunny with teal/blue green eyes. The eyemarks are rain drop shaped. There is a gray/blue magnet and date stamped 2006. This rabbit was released with on 2 separate occasions with a different number. #1366 Rabbit is a short eared two tone pink/orangish brown bunny. 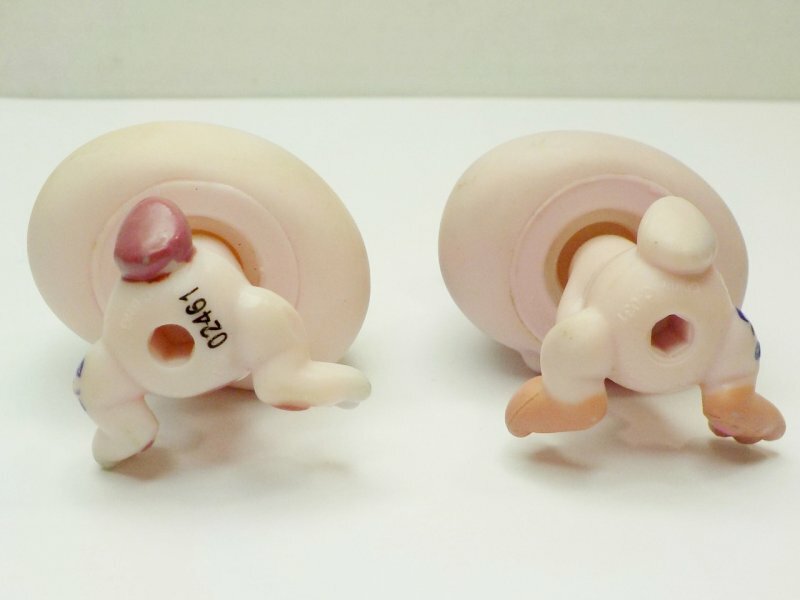 It has brown/gold eyes with circle eyemarks. LPS trademark on leg. 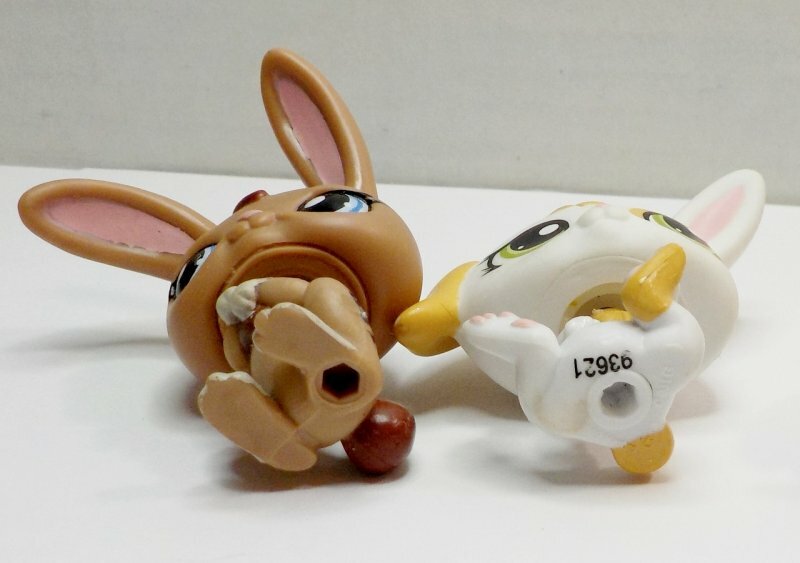 This bunny was originally released in the Animal Collector's Pack series. #1417 Rabbit is a with and gold/tan sitting bunny with a bent ear (one ear up, one down). The eyes are two toned green with circle eyemarks and #stamped 02461 with LPS trademark. #1466 Rabbit is short eared, a pink with mauve markings. It is sitting and has two toned green eyes with circle eyemarks sitting. 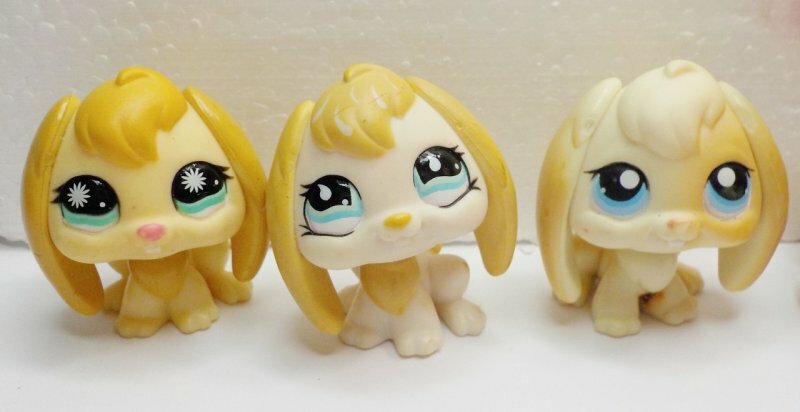 The LPS trademark is slightly worn. #1766 Rabbit is a brown bunny with darker brown markings, and long bent ears. It has two toned blue eyes with circle eyemarks. Date stamped 2007.